The "How" of leadership and management performance! Ever heard about "Hired for skills, fired for attitude" and "People don't leave a company, they leave a boss"? From the behavioral assessment I presented previously, I can provide an advanced analysis of attitudes -because attitudes are about behaviors. 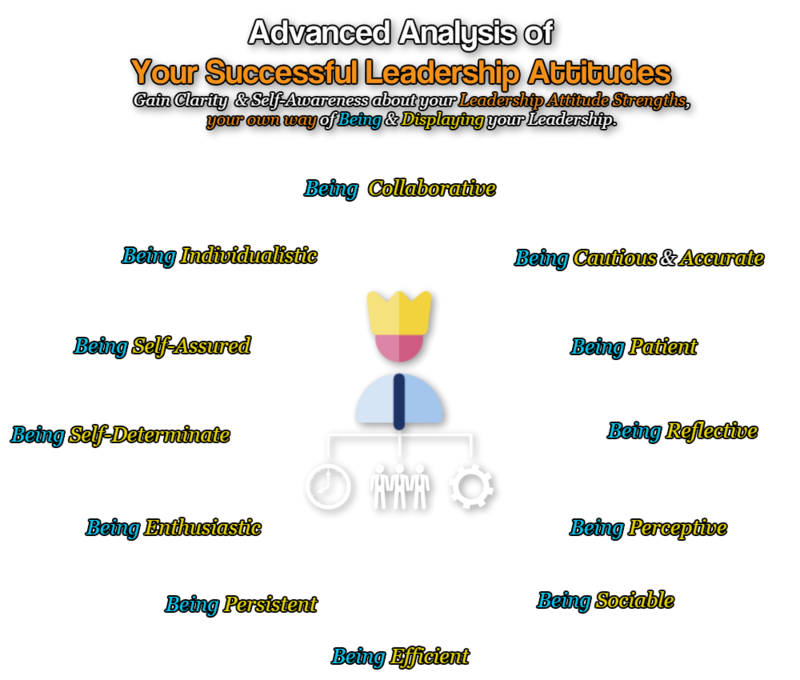 While this analysis can be done for any kind of position, usually it's done for leadership and managerial roles. This in-depth analysis observes 12 different kinds of attitudes. Collaborative: using structure, established procedures, systems and rules to guide the person's work. Cautious & Accurate: the person's tendency towards mistake avoidance, accuracy, concern for details, order and methods. Patience: the person's preference to work at a steady, slower pace and a tolerance towards situations that are repetitive and dull. Reflective: the person's intensity of thoughtfulness when crafting words and actions. Perceptive: the person's will to be sensitive and alert to both his, her and others problems, mistakes, errors and procedures and the person's tendency to flex accordingly. Sociable: the person's degree of willingness to accommodate, support and oblige others. Efficient: the person's result-driven behavior. It shows a capacity to focus on and prioritizing tasks while minimizing the surrounding environment. Persistent: the person's intensity for staying on task and supporting current procedures and processes. Enthusiastic: the person's intensity of outward expressive energy and urgency. Self-determination: the person's focus on the result-oriented drive with an emphasis on urgency and action. Self-assured: the person's intensity of his, her social confidence in a variety of social situations. Individualistic: the person's intensity of the assertive and independent approach toward tackling problems.